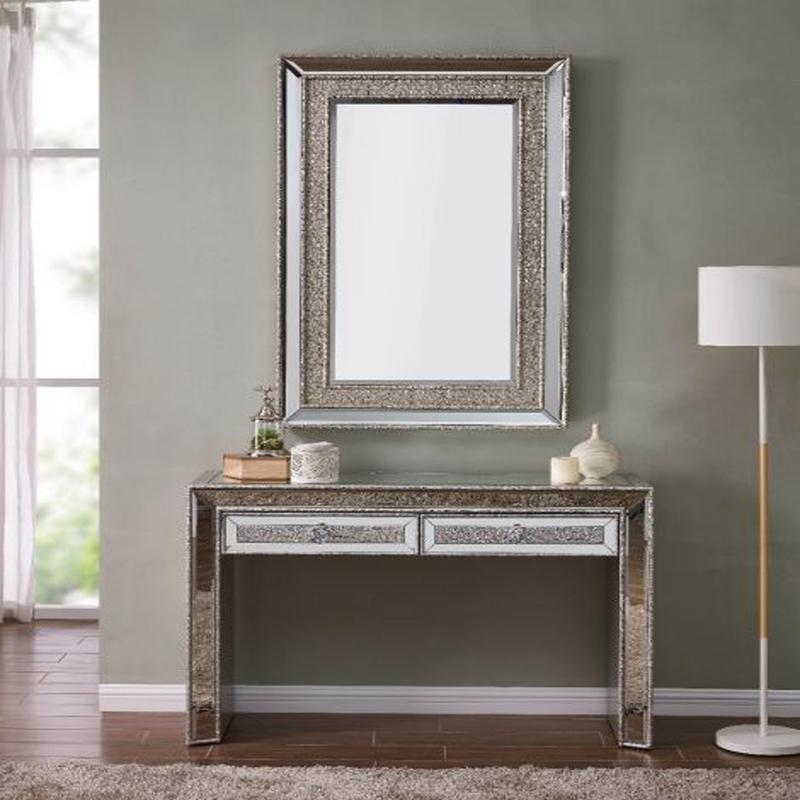 This Sofia mirror and console set has been carefully built using a combination of mirror glass. This set will sit perfectly in a modern or traditional setting making this mirrored furniture a welcome to any home. Crafted from mirrored glass this console table and mirror both feature a delightful decoration , ideal to brighten up any room today.